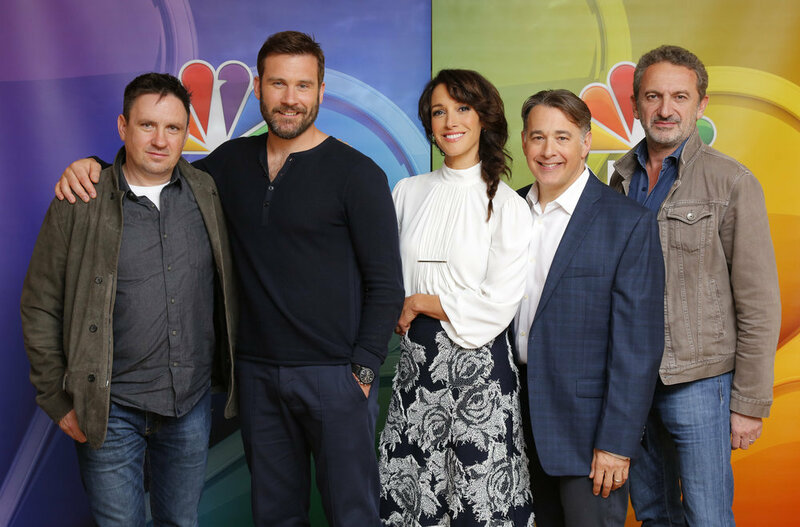 Following the successful Taken film franchise starring Liam Neeson, executive producer Luc Besson is bringing to NBC his new series of the same name that explores the tribulations of younger, former Green Beret Bryan Mills (Clive Standen). At the Television Critics Association winter press tour, Standen took the stage alongside co-star Jennifer Beals, and producers Alex Cary and Matt Gross to talk about the new series. Taken premieres February 27th at 11-11pm ET on NBC. For the producers, can you describe what your thoughts were in setting the TV adaptation of Taken as a prequel? Alex Cary: The initial conversation that I’m aware of is between Matt Gross, who heads up EuropaCorp, and me. We were never talking about a prequel. We were talking about a modern origin story, so set in modern-day times, and I think the immediate question that arose is what is this television show to the movie? What we wanted to do was to bring the franchise or the unique selling point of “Taken” to the TV screens, but to do our own story and really create this character sort of from the ground up, which is what attracted me to it and the opportunity really to all of us. Matt Gross: The inception was a genesis story and really see the formation of this character, Bryan Mills, and how he became who he is. Later on in his life, we know he’s a broken man, and we know he has a particular set of skills, and the whole concept was his journey on how he got there. This is how a hero becomes a hero. Will the mystic be shattered once we learn how he acquires his “particular set of skills”? Alex Cary: I think that’s the draw. Matt Gross: It’s not just about the skills. It’s how he became who he is. It’s really understanding him as a character. 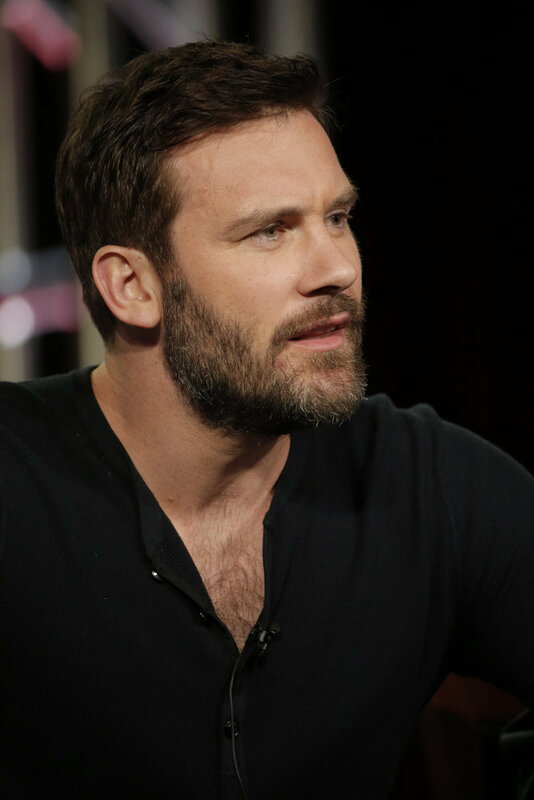 Clive Standen: What I find interesting about Bryan Mills is he’s not like any other action hero, any kind of regurgitation of an action hero out there right now. I think what’s so interesting about the origin stories, you’ve got James Bond, and James Bond is suave, sophisticated, and he’s always got the perfect suit on. He’s got the cool line to say to the girl or the evil villain. He’s perfect. He’s larger than life. He’s not real. You’ve got Jason Bourne, who is far more complicated, but he’s cold and calculating. He doesn’t know his past. He doesn’t know who he is, and that’s what the draw to that guy is. He’s a ruthless killer, but he’s really cold behind the eyes. He’s not an everyman. You’ve got Ethan Hunt in “Mission Impossible,” and “Mission Impossible” is about characters, very tech-savvy. It’s all about what we can have in the future and changing makeup and changing faces and things, and we buy into that fake reality. Again, a very larger than life character. Where, Bryan Mills is just a man. In the film, we see a man who is a father who is chasing after his daughter. He wants to find his daughter. I’m a father. You don’t have to be a father to relate to this man. You want him to succeed, and when he trips and fails and falls down, you want him to get back up. As an audience member, you’re pretty much pulling him up and forcing him through that door going, “He’s gotta find his daughter.” Otherwise, there is no sense of humanity in the world. That’s why I’m interested in playing this character, because Superman is Superman. He’s a perfect human specimen. He pretends to be Clark Kent in order to disguise the fact that he can’t fit in on Earth. Whereas, if we were to take that analogy and make it about Bryan, Bryan is Clark Kent. He’s a guy that spills food down himself. He’s a guy that hasn’t got the witty line, but he’s a gentleman. He’s a well brought up man. He loves women, but he’s just as scared of them. We can all relate to that, and I’d love to have this TV that we can watch a character every week and build with him and watch him learn from his mistakes, because I’ve got no interest in playing Liam Neeson’s character in the film. He’s the finished product. He’s this man with a particular set of skills. This is about how we acquires them, and I think it’s going to be a roller coaster of a ride with lots of ebbs and flows and twists and turns. Is Bryan Mills scared of Christina Hart (Jennifer Beals) in the same way that he’s scared of other women? Alex Cary: Well, first of all, I don’t think he’s scared of other women. I just don’t think he’s particularly skilled. Clive Standen: I don’t have those skills yet. That’s what I meant. Alex Cary: He doesn’t have that particular set of skills. If I have it my way, he never really will. In terms of his relationship with Christina Hart, played so magnificently by Jennifer, my intention is that if you were to interview Bryan Mills in the movie and ask him who were the defining characters in his life, who shaped him, this character would be at the top of the list. I don’t think he’s scared of her. I think he welcomes her guidance and her leadership, but he’s someone who is, as most attractive characters are, someone who does not have an easy relationship with authority. 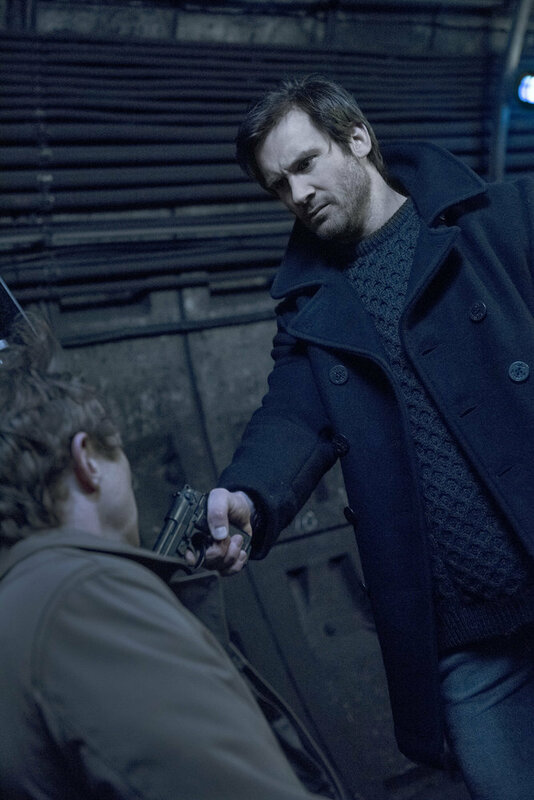 Clive Standen: I meant in terms of the James Bond character, he’s not got the witty one liners. He’s not going to be going, “I thought Christmas only comes once a year.” There’s no cheese to it. He’s a real man I think we can connect with. The logic of our imaginations these days requires us to believe everything we see on-screen. It’s more so than ever in an action show. I think there’s so much veneer put on life, and life is interesting enough as it is. We have no interest in having characters that are jumping through explosions and rolling in glass and getting up and putting their hand through the hair like they’re in a L’Oréal hair commercial. Everyone is beautiful all the time in network TV. This is about a real guy. He bleeds when he gets hurt. He’s in pain when he falls. He’s very emotionally connected to the missions, more so than he should be. What we can do with an action show—I like to call it a covert action show because it’s very different in the way we show the way these guys work and the black ops is very covert. Instead of kicking down doors, you should be able to kind of open a door and leave without anyone seeing you were there. You put the actors in the thick of the action. You need to see Bryan’s whites of his eyes. You need to see the anger, the frustration. You want to see him panic and try and think for an answer, because he’s always going forward. He’s always trying to get past that door, get to the woman or the girl or the man or the hostage on the other side of that door, and he’s also got a very good moral compass. What happens when you put a guy with those skills and a moral compass like his in a very unmoral world with people around him, human traffickers, money launderers, cartel bosses? How is he going to react to those situations? For Clive Standen, were you able to carry over any of your physical training from “Vikings” to this role? Clive Standen: I’ve done a lot beforehand. This was, to pardon the pun, a different set of skills that I had to kind of embrace before I started filming on set. What “Vikings” taught me is—we do all our own stunts in “Vikings.” We get in the thick of the action. It’s not because we got a death wish and we need to get out some kind of extreme sports kind of obsession we’ve got. When you’re doing a TV show and you don’t have the budget of the big film—“Vikings,” we had half the budget of “Game of Thrones.” “Taken,” we’ve got nothing compared to some of these massive hundred-million-dollar action movies. But for me, a lot of the action movies out there, it’s all sound and fury signifying nothing. I don’t connect with big explosions and people doing big fight routines when they’re up walls and doing back flips and things. It has to be driven by heart, and it has to be driven by character. You can only really do that in a TV show if you put your characters in the thick of the action. You have to be prepared to get a few knocks and bruises. You have to kind of get in there because the director needs to put the camera on your face so you can see these emotions. The story has to drive through the action. I come from a theater background, and the first thing when you sit in the theater—all of us do when we sit in the theater and the lights go down and a spotlight comes onstage and an actor walks into that spotlight—the first thing we all do is we do this (leans forward) and on actor in a theater has the audience from the off, and they’re yours to lose. Whereas in TV and in cinema, the first thing we do when the lights go down in the cinema and we’ve got our bag of popcorn and our soda pop, we do this (scrunches down in seat), and we wait to be entertained. It’s the actor’s job to draw them in. With action these days, when you’ve got big hundreds of pounds’ explosions and you’ve got these big set pieces and stunt guys fighting for, like, five minutes, and the actor’s not even involved—it’s just the back of the stunt guy’s head—you can’t connect with the character. It’s just that. It’s a moment where you just lose an audience. The only way in TV, in an action show, that I believe that you can grab the audience from the balls and pull them into the story with you is to draw them in with character and to draw them in with story. As you see in the pilot, the pilot is its own entity compared to the rest of the series. It’s an origin story in itself. You have to know who Bryan is. You have to know who Christina is in order to tune in each week with them. It can’t be that they’re the same old tack that I think is out there on network TV at the moment, which is just, like I said, to quote Shakespeare, sound and fury signifying nothing. Jennifer Beals: The character has to drive the action, and the action always furthers the story. For me, when I was a girl, one of the first films that did that for me was “La Femme Nikita,” Luc Besson’s film, which was just remarkable that I was so invested in this woman and all of her flaws, and every moment was about character. For Jennifer Beals, is your character based on someone? Jennifer Beals: There’s an amalgam of people, but no one that you would know. But an amalgam of people, certainly. I had an advisor that certainly comes to play, a high school advisor. Was Luc Besson involved in the show’s development? Alex Cary: Before we even started, he and I sat down and discussed the movies, and we discussed. In fact, we discussed sort of the creative process in general and then discussed this and the character, and he has been nothing but incredibly supportive, but also incredibly trusting of us as a team. He has steered us, for sure, in a direction I think that would be loyal and faithful to his original vision in the movies, but he has not limited us in any way. He’s been fantastic. “Transporter” was also made into a series. Do you think any lessons were learned from that? Matt Gross: I’ll field that. Luc started the studio a little over two years ago with me and the reason why is because he wanted to be more creatively involved, in television specifically. “La Femme Nikita” he was not involved with, and “Transporters” he licensed the rights to other producers. He wanted to be more creatively involved with his content and genre, so that’s why we embarked on starting the studio. For Jennifer Beals, can you talk about your character? Jennifer Beals: Christina has a remarkable ability to see the big picture. She is incredibly observant and recognizes talent. This is someone she has been looking for for a very, very long time and recognizes that this instinct to protect at all costs is invaluable. He’s certainly more than a diamond in the rough, but she knows that he could be a very important part of her team. Alex Cary: Can I add to that? The other thing that Bryan sees in her and, hopefully—certainly I see in her and, hopefully, everybody else will, is that she—we like to use this word “hero.” She is an unsung hero in that she’s incredibly dedicated, and I think that her personal heroism or her personal service to the country has come at some personal cost or sacrifice. She has been through the journey when they come together. Again, like all great people of that ilk, she doesn’t talk about it. So that mystery or what might be a mystery to the audience is also a mystery to Bryan, which also makes her incredibly strong and a great leader. For Clive Standen, can you talk a bit more about how your fighting skills have developed over the years? Clive Standen: I used to be a Muay Thai boxer from the age of 13 ‘til 18, which, obviously, connects well when you’re picking up stunt choreography. I’ve done lots of sword work. I used to live just outside Nottingham Forest, Sherwood Forest. In 1990, when “Robin Hood: Prince of Thieves” was on at the cinemas, Sherwood Forest wanted to capitalize on that, and they tried to put together a big stunt troupe to do, like, “The Tales of Robin Hood.” When most kids were 14 years old and working in a fast food restaurant or a clothes shop earning some pocket money on Saturdays and Sundays, I was jousting and abseiling out of trees and doing hand to hand combat. So it started off, and the Muay Thai kind of mixed in with that. Then when I went to drama school, every actor has to do a stage combat course. I ended up—when I like something—I was never good at sports, like football, basketball, or anything like that, but this clicked with me. Martial arts and that kind of thing clicked. When I went to drama school and did my stage combat course, I got an Advanced Gold Certificate with Distinction in stage combat, which is not just swords, it’s hand to hand combat. It’s the same qualification you need to be a stuntman. I had that at the age of 18. So I’ve brought a lot of those skills into it, but I’ve never really thought about accessing them with a character. It just so happens it’s come full circle, and I’m able to use these skills, starting with “Vikings,” and then bring them in. I’ve never really done much with guns before. I had to do quite a lot of training. We had a couple of special ops guys come in and work with me, and I had to clear rooms and using different weaponry. I’m still learning. I’m always learning, and I do lots of my own tumbling and things like that outside of work. You grew up near Sherwood Forest or Nottingham? Clive Standen: Yeah, in Melbury in Leicester. I grew up in Northern Ireland on an Army base, but I moved over to Leicester, which is 15 miles from Nottingham. Do you think that growing up there inspired you to enter acting? Clive Standen: Definitely. I’m a father of three now, and I don’t know if it’s just growing up in the country and I moved to London and I’m now bringing up my kids in the city, but my childhood was all about running, jumping, climbing trees. We had a back wall, and we had fields and forests behind us. I’d jump over that wall at 4 o’clock, and I wouldn’t come in until my parents were coming out with a torch, trying to find me, because I’d already broke the rule and come back after dark. That’s what it was about, so it just inspires you to—and it worries me with the iPads and things with kids, about how they’re not getting out as much, because your imagination does flow when you’re a kid. Nowadays even when you ask someone to create a mood board or a picture board, they tend to kind of come up with images they’ve Googled rather than actually going out and taking photographs of things that inspire them or their own memories and emotional recall and things. But for me, that’s growing up in the country. I’m so proud of kind of being in the middle of nowhere and being a bit of a country boy. Bryan Mills is dealing with some emotional baggage. How is that dealt with by those around him? Jennifer Beals: It’s recognized by the team that he’s had to go through something, and the team recognizes that they all have had to go through that. In this particular case you have to be very careful because your own baggage can jeopardize the whole team. So there has to be that moment when he thinks he’s being selfless, he has to be very mindful because sometimes he can jeopardize everybody else on the team by going his own way. 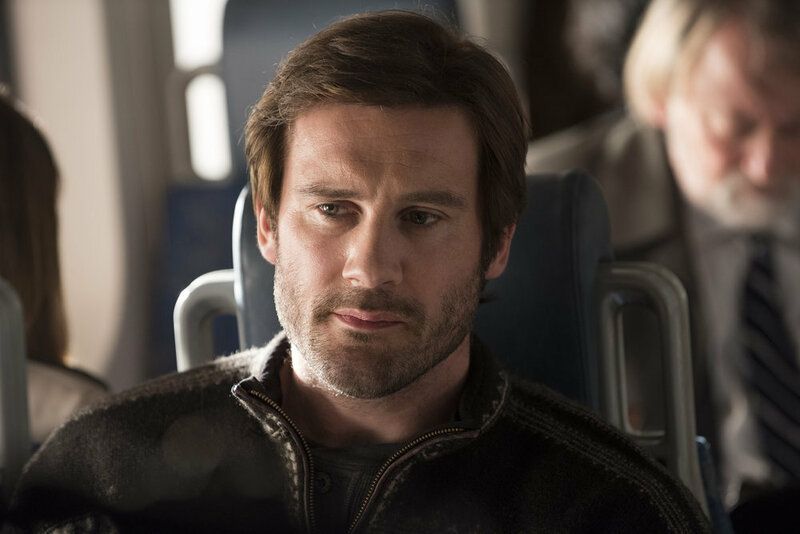 Clive Standen: I think that’s the main lesson Bryan has to learn because I think he thinks it’s his biggest strength, which is that he has little regard for his own safety, which enables him to kind of put himself on the firing line and make sure that every single person he gets a chance to help is another chance to try to save his sister. I like the analogy that I think Bryan is that guy that he feels every flower he touches turns to a weed. He doesn’t really—he doesn’t make emotional connections very well and doesn’t trust himself. That enables him to be that guy with forward momentum who is always going forward and always trying to be selfless and serve. So when most people freeze up, clam up, run in the other direction, he’s going towards danger, and he can’t help himself. Matt Gross: The show is called “Taken” not because we’re going to kidnap someone every week. Something is taken from him. His sister is taken from him, and he’s never going to get her back, and he’s going to chase her his entire life, and he’s never going to get her back. Something was taken from every character and all of us, and that’s why I think the audience is going to relate with that. 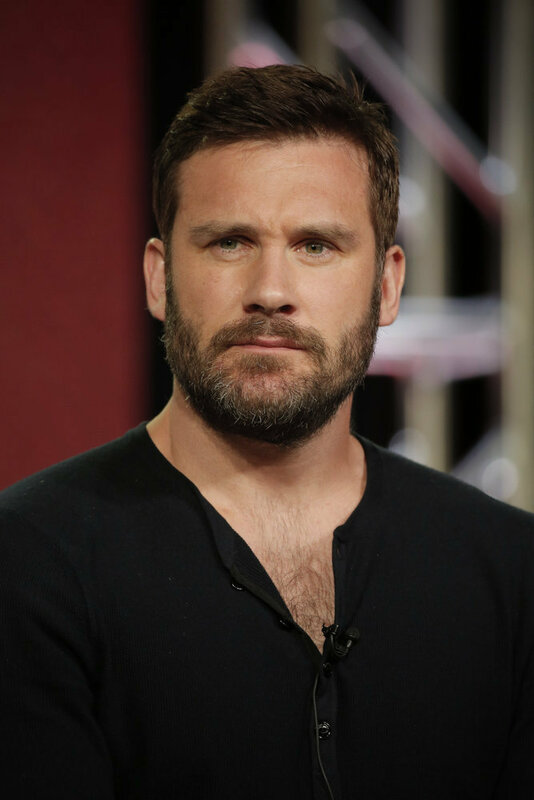 Clive Standen: I’d say as well it’s not the only—his sister is not the only thing that’s taken from him in the first season. Alex Cary: The purpose of that scene is that this guy is a one man wrecking machine or whatever you want to call it in the pilot and, to a certain extent, in the second episode. That scene is at the end of the second episode. The purpose of that scene is to bring him to a point—or the purpose of that episode is to bring him to a point where he admits the chink in his armor. He admits what is psychologically harming him and, therefore, not just harming him, but understanding that it’s a liability to the rest of the team. The idea of that is to articulate, apart from the emotional things […] is to articulate that part of Bryan’s learning curve is now to become a team member. Special ops and that kind of work is not and this is a saying that comes from that world is not a gladiator sport. He comes in a gladiator, and he doesn’t…he keeps his troubles to himself at the beginning of that episode. At the end, he opens up. The reward is that it is acknowledged, and we the audience understand that all these people have stories. How far do you go in breaking him down? Matt Gross: Which he insisted on. Clive Standen: Yeah, I did. Matt Gross: He insisted on it. Alex Cary: The question – you’re talking about breaking Bryan? Well, that’s assuming that everybody who walks up the aisle is a together person, which I can tell, you from previous experience two times, is not the case. Here’s the thing: we can break Bryan — Clive has presented us, me — the creative team who writes this and directs this and all the rest of it — with an amazing toy. He will bounce back. We can put him through pretty much anything, and he will do it not just willingly; he’ll do it more than you actually want him to do it. In other words, you have to say, “Calm down.” So physically we can do that. The serious point behind that is that it gives us an opportunity to tell stories, knowing that we have someone who’s going to dive into it headfirst, and he’ll explore it. He’ll dive into it and explore it from within. That’s where the acting comes. So I think that we have a really good opportunity with somebody here who wants to dive in physically and mentally and allow us to kind of write our way out of the problem. That’s something that I’ve learned on previous shows and all the rest of it. We don’t plan that far ahead. We are interested in putting that character into all, and not just his character but the others as well into all kinds of problems and then kind of writing our way out of the problems. Therein, I think, lies engaging and emotionally satisfying drama and action. But the point being that with all this physical stuff, I mean, that Clive is so good at, it gives us to me, it’s kind of a never ending thing. We can keep – he’s like an Energizer bunny. Jennifer Beals: Absolutely. To that point, I have to say I have never ever worked with anyone who has the stamina that this man has. Ever, ever, ever. Don’t say anything. Jennifer Beals: He throws himself into things physically and emotionally. He’s got this sadist (Alex Cary) writing scripts that are film scripts to be shot in eight days. Jennifer Beals: He’s rising to the bar every week, every day. Then along with the American accent. I mean, he’s just completely – he’s an animal, and it’s phenomenal to be able to work with somebody who is that vigorously dedicated. For Jennifer Beals, what do you enjoy most about your character? Jennifer Beals: I think, for me, walking that line between the dark and the light. I think walking that line where you have all of this information that you know; you have all of these things, as a member of the intelligence community that you know and you can’t unknow; and holding the space to try to keep everyone else safe and using every bit of your intellect and your intuition to keep as many people safe as possible. What’s been interesting is to explore at what how does that come at what sacrifice does that come. That’s been interesting, and it’s almost like entering the priesthood or something. Do you share any qualities with her? Jennifer Beals: Oh, I wish I was more organized. I wish I was more of a strategist. I think in some ways I have the quietness maybe. Alex Cary: Yeah, I think a quiet power. Alex Cary: I’m going to add to that. Sorry. Forgive me. I’m going to add to that a little bit. A lot of what you see on screen of this character I mean, it goes without saying, but I would say more than you may be accustomed to seeing is created by Jennifer. She’s brought her qualities to this part. In writing these roles, I’ve been trying very carefully not to go too far ahead; in other words, trying to learn a little bit about the actors playing the roles so that they can bring something to the role of themselves and the writing might reflect a little bit of that. Jennifer’s gone above and beyond that from the very beginning in the pilot, really in that one scene in the hospital room. So the similarities, for me, there’s an innate similarity, and it’s the strength of character. Matt Gross: While we’re complimenting someone, I want to compliment Alex. No, really. He’s written this show very economically because he understands people and the complexities of doing this kind of work. I think it’s what makes this show stand out, because it’s cinematic. A lot of the narrative storytelling is visual. It’s all on the page. It’s really about how our characters react to what they’re doing, because they’re not unfeeling robots. They’re doing important work. They’re never recognized for it. The writing is incredibly strong on this show going back to what Jennifer said, very few television shows have scripts that are a 100 scenes, 110 scenes. Very, very ambitious show. Most television series have 50 scenes, 55 scenes. It’s the narrative, cinematic storytelling that Alex has created and, I think, is a huge obviously, a huge part of the success of the show. Alex Cary: The crew wants to kill me. Matt Gross: I do too. I want to say that. For Jennifer Beals, how does it feel playing a new character that was not in the films? Jennifer Beals: Well, it’s interesting because I feel like, in a way, we’re going backwards. Because it is a modern day origin story, we get the chance to watch the planting of a seed and watch the plant grow. I think in this case, it’s not about trying to take advantage of a story that’s already popular. It’s a genuine with this person (pointing to Alex Cary) at the helm and this person (pointing to Matt Gross) helping to develop this project, it’s a genuine process of finding where does this come from in an authentic way, going backward in an authentic way.